In December 2016, I passed the California Civil PE examination, and am now a licensed professional civil engineer (license C 86962). My husband and I are relocating to Burlington, Vermont to be close to family and to join the thriving green economy. I am also always looking for challenging opportunities in the buildings and energy industries. Please view my resume to learn more about my skills and experience. Please view my resume to learn more about my skills and experience. Research paper on geothermal energy in the U.S. and Iceland published by the U.S. Green Building Council, Feb 2015. Link to paper here. I am a licensed professional civil engineer passionate about the design and construction of energy efficient buildings, with a background in building design, structural engineering, construction, project controls, and electric energy infrastructure. During my tenure at Exponent Engineering in Oakland CA, I provided a variety of project management services for stakeholders of high-profile electric infrastructure projects. My duties included managing resource loaded schedules, analyzing project accounting metrics, and communicating project progress, spend, and risk status to diverse clients. These roles developed my people management and communication skills while giving me hands-on experience on complex construction and energy analysis projects. ​Stanford University, Stanford, CA. June 2014. 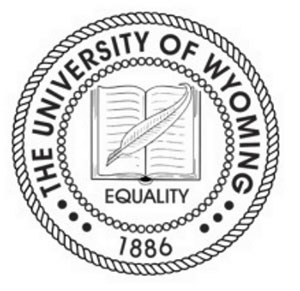 University of Wyoming, Laramie, WY. December 2012. During my studies at Stanford, I took courses in low-energy building design, energy efficient building systems, and managing fabrication and construction. In many of my courses, I worked on a number of group projects. Examples include creating an energy model for a mixed-use building, generating scope-schedule-cost models for a parking garage, and analyzing the energy savings between conventional portable classrooms and new, high-performance models. I was also the creator and project coordinator for an Engineers for a Sustainable World project, which aims to provide a technology education center for Parkwood Primary School in Cape Town, South Africa. Other: Java, Adobe Creative Suite, MS Office, Prezi, Simapro. 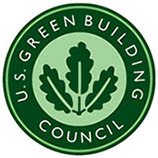 During the summer of 2014, I worked for the U.S. Green Building Council as a MAP Sustainable Energy Research Fellow (now known as Schneider Fellows, within the Stanford University Haas Center for Public Service). I worked on several projects, including an analysis of distributed renewable energy systems in LEED-certified projects in the northern U.S., a market study on the impact of LEED v4 for the geothermal energy industry, a white paper covering the state of renewable energy generation in the United States, a cost-and-benefits analysis of current geothermal energy technology, a case study of Iceland’s geothermal energy deployment, and a list of strategies for increased utilization of U.S. geothermal resources. 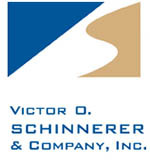 I received the Milton F. Lunch Memorial Research Fellowship in the summer of 2013, and worked for Victor O. Schinnerer, an insurance underwriter for engineers and design professionals. I conducted independent research on the state of the sustainable design and construction industry and wrote a white paper that presented recent research findings and my analysis of unique liability and risk issues that green building project activities can present.